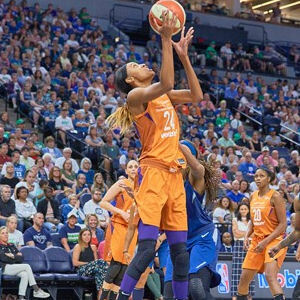 The Phoenix Mercury and Los Angeles Sparks advanced to the second round of the 2018 WNBA playoffs following their respective wins against the Dallas Wings and Minnesota Lynx on Tuesday night. The eighth seeded Dallas Wings kept things close in the first half, coming to within one point before Phoenix guard Diana Taurasi hit a three pointer to make it a 53-49 game at halftime. 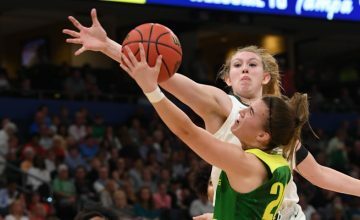 However, the third quarter was the difference maker for the fifth seeded Mercury, who hosted the game at Arizona State University’s Wells Fargo Arena because of a scheduling conflict with their home venue at Talking Stick Resort Arena. The Mercury hit six three-pointers in the third quarter including a long banked in trey by forward DeWanna Bonner just prior to the shot clock expiring. The Mercury went on an 11-0 run in the third quarter, which brought them to a 79-59 lead with 1:54 remaining in the quarter. Dallas cut the Mercury deficit down to as low as 15 in the fourth quarter, but could not close the gap sufficient enough with time remaining. Bonner led all scorers with 29 points and 11 rebounds, while Taurasi added 26 points and 12 assists in the effort. Center Brittney Griner pitched in for 17 points and five rebounds. The Mercury held a 19-5 regular season record when all three of those players scored more than 12 points each in the same game. Forward Stephanie Talbot added 11 points and 11 rebounds for the Mercury. The Wings were led by 23 points and seven assists from guard Skylar Diggins-Smith, along with 22 points, 12 rebounds and six assists from center Liz Cambage. No other Wings player scored in double-digits. 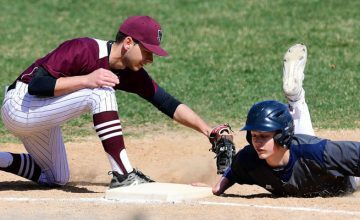 “I think our team really battled. Phoenix played out of their minds and had some great shooting from their big three and they really carried them throughout the game. 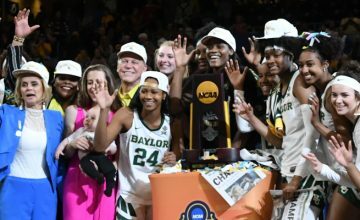 Our players took a hit, kept going, kept pushing, and we’re really proud of the future of the Dallas Wings,” said Wings head coach Taj McWilliams-Franklin. McWilliams-Franklin, the interim coach, knew that she needed to maintain consistency in a tumultuous season in order to just get through it while still battling to advance as far as possible in the playoffs. The Phoenix Mercury will travel to Mohegan Sun Arena to battle the Connecticut Sun for a 7:30 p.m. CT Second Round game, while the now eliminated Dallas Wings determines whether McWilliams-Franklin sticks around as head coach in the long-term or whether the team moves in a different direction. Like the previous series between these two teams in the last few years, the Los Angeles Sparks and Minnesota Lynx contest came down to the wire, this time with the Sparks coming out on top. For the first time since 2004, the Lynx have been eliminated from the playoffs in the first round after dominating the post-season for the past seven seasons. It was the fourth straight season in which these two teams met in an elimination playoff game. 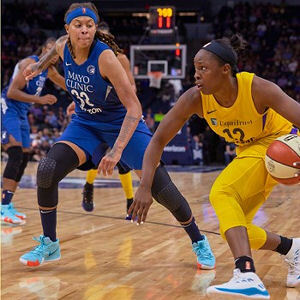 Guard Chelsea Gray scored 26 points, forward Nneka Ogwumike netted 19 and guard Riquna Williams added 17 for the Sparks while center Sylvia Fowles scored 18 points and grabbed 12 rebounds for her 21st playoff double-double. Forwards Maya Moore pitched in for 14 and Temi Fagbenle added 15 for the Lynx. The Lynx ended the first quarter with a 16-15 lead, which they pushed to 11 points midway through the second quarter. Los Angeles chipped away at the deficit and took a 40-37 lead at halftime. Neither team could get momentum in the third quarter as the Sparks Williams hit a layup 45 seconds into the frame but neither team scored for nearly the next three minutes. Los Angeles got the perimeter shooting going in the third quarter as Williams and Gray combined for four three-pointers in the quarter and the Sparks led 58-52 going into the fourth quarter. The Sparks could never get a comfortable cushion on the Lynx, but Minnesota could not overcome the gap. lead to five, 70-65. The Lynx turned the ball over on the next possession and put Ogwumike on the line, who hit two free throws. Fagbenle hit a three-pointer to pull the Lynx deficit to four with 52.4 seconds remaining. Moore missed a contested three-point shot and Ogwumike sealed the deal with more free throws. The final shot of the game, a seven-foot jumper, was taken by Lynx guard Lindsay Whalen just before the game clock expired. Though Whalen missed the shot, it was the last shot of her stellar WNBA career as the four-time champion heads to retirement and the beginning of a coaching career with the University of Minnesota. 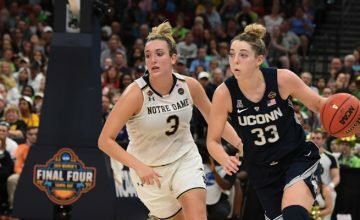 Whalen finished her final game with nine points, five rebounds and five assists. She extends her numbers as the all-time playoff leader in assists (340), playoff games played (82) and playoff minutes played (2,393). The Los Angeles Sparks will now travel to the third seeded Washington Mystics for a 5:30 p.m. CT Second Round game on Thursday. NOTE: Post-game quotes were not available when this story went to press. Thanks Kate! :)glad you like it!